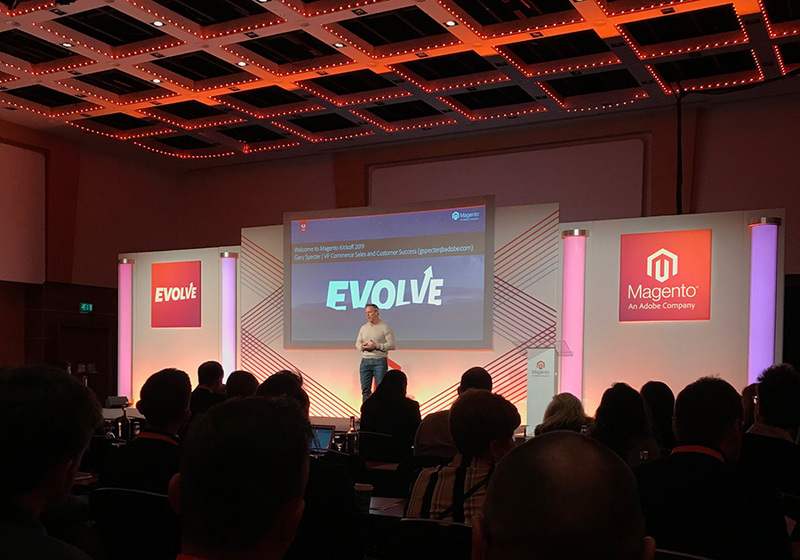 We attended the Magento EVOLVE Partner Kick Off event held on 22nd and 23rd January 2019 to learn about Magento’s plans for the upcoming year. This year’s theme of the event was EVOLVE, following the Adobe acquisition of the ecommerce platform in 2018. Magento as a platform is ready for the evolution towards making every experience personal and every moment shoppable. With Magento 2.3 and beyond, we are excited to help our clients deliver superior shopping experiences, with omni-selling and fulfilment opportunities, powered by robust business intelligence and supported by the open platform and vibrant ecosystem. The main advantages of launching your new website on Magneto 2 are the platform’s readiness to implement B2B ecommerce solutions. At Magium, we will integrate your Magento B2B website into ERP, CRM, accountancy products or warehouse management systems, including SAP and Sage Pay, to ensure your B2B customers can transact with ease. Magento 2.3 offers you the opportunity to use Multi-Source Inventory (MSI) and link up your fulfilment centres to deliver products to your customers in a way that they prefer, while keeping a healthy return on investment (ROI). Another great feature of Magento 2.3 is the Progressive Web Apps (PWA) Studio, which will help you optimise mobile experience of your ecommerce website. Magento EVOLVE concentrated on the platform’s cloud offering. There are great opportunities to scale with Magento Commerce Cloud and we look forward to working with you to create engaging shopping experiences. With a best-in-class Platform-as-a-Service model, Magento Commerce Cloud offers speed of deployment and creates agility to get your business to minimum viable product (MVP) effectively and efficiently. At Magium, we will work with you every step of the way to ensure that your ecommerce website is equipped with the right functionality and third-party integrations are implemented seamlessly to deliver a streamlined omnichannel experience to your customers. Contact us to discuss your Magento 2 project.